We just moved into a new home with a smaller kitchen. I love the space I save with this GE fridge. It is still able to hold the necessities I need in the kitchen. I use this product as my personal refridgerator in my kitchen. Its wonderful, stay cold, good room, very nice design. Simple and nice product, would buy again! 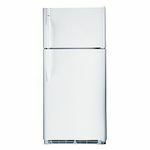 This refrigerator is nice cheap product. While it does not have an attractive design is serves it purpose. It also very durable, i have bumped countless objects in to it, and it has yet to dent. Personally speaking, it also child "proof". By that i mean, for a child it pretty hard to even reach the door handle, and even if they reach it, they cant open it. Overall, excellent product unless you care about aesthetic appeal. The fridge has lots of space and has one of the best freezers. I can store all my foods inside the fridge and still some room will be available to store some more foods. It also not produce much noise while working. Interior Organization It comes with adjustable shelves that you can alter for storing large items like bottles, bowls,etc. Temperature Control It should be the same level of heat throughout the fridge, but I noticed the temperature level of items vary depending on the their location in shelves. Durability The fridge is strong and powerful, I see no reason that this will not last many years. Design The design of the fridge is quite attractive. Interiors and exteriors are beautifully designed and perfectly fits to any type of kitchen without much problem. 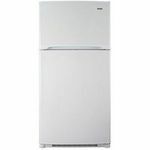 GE Top-Freezer Refrigerator is a good purchase for the first time buyers, I have had it in the past. 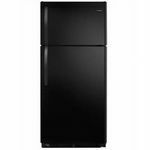 GE is a good brand to go with, if one is looking to purchase a good refrigerator for a decent price. I anyhow had no issues with its working ability. It has good storage area, at least sufficient for a small household of two people. 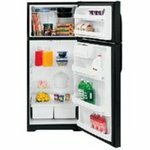 My refrigerator was always fully packed and I have hardly seen anything going bad in it. The temperature is easy to adjust, which I often did when my drinks turned into ice in the bottom shelves as well. That is my bad, not the refrigerator's fault, I guess! The only thing that annoyed me was the sound it makes, and at times it used to be quite a rumbling sound that forced me to shake the refrigerator all the way, and that is what I did. It is a pretty decent refrigerator to go with, better if it stops making these sounds which sometimes while sleeping scared me. Have used for more then ten years.Kept things in the freezer during hurricane when we lost power and the freezer kept things cold for a Week! Noise Level Blends in to the background. Interior Organization Great for small family,easy to reach thing. Room to fill for party's,or holiday turkey. Lots of shelf space.Can move up or down.The freezer has ice bucket and you make your own ice,great when you live in hot climate! Extra large top freezer allows to keep bigger items. Temperature Control Stays steady,keeps things cold in lower part,and in the vegetable crispers.the controls are right in front and easy to read. Ease of Cleaning Use baking soda. Easy to reach to the back. Easy to take out racks and vegetable crispers which are easy to clean and light weight. Durability Very sturdy! Easy to pull out and clean behind it and room under to use a small broom.So far in this hot and humid climate I have not seen any warping no scratches or discoloration anywhere. Design Flexible,great for smaller home or apt.Easy to organize. Like the door with it's butter storage,room for milk,and or gallon containers and all those salad dressings bottles. Room for smaller jars like olives. I have never had any fancy refrigerators and this is the standard one that I found. GE is a leading brand so I new that the quality should be decent. I really don't have any problems with the fridge or the freezer - the temperatures are easy to adjust and I've never had any malfunctioning problems. The only issue (but probably important) is that the noise level is a bit high when the fridge is running. It is a bit irritating right before I go to bed - I tend to open/close the fridge quite frequently in the evening so it starts running when I go to bed and sometimes I get annoyed by the noise. 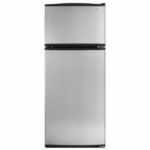 But my bedroom is close to the kitchen so if you don't have that problem I think this is a standard decent fridge if you are not looking for something fancy and something that functions well. Noise Level The noise level is a bit high and noticeable. Temperature Control Easy to control and adjusts easily. Design Very standard and simple design. This refrigerator is functional and spacious. Noise Level The noise level when self-defrosting is more than any other refrigerator I have owned. Interior Organization The shelving is adjustable making room for large or small items, such as gallons of milk , 2 liter soda bottles and large bowls. The storage in the door helps with organizing small or large containers of condiments. The storage bins are set to allow for proper temperature of meats, fruits and vegetables. Temperature Control I would prefer a better temperature control for the main refrigerator. I have noticed differences in the temperature of items based on their location on the shelves. Ease of Cleaning Removable shelves and drawers make it convenient to clean the entire interior . The shelves and drawers can be washed in a kitchen sink without any hassle. 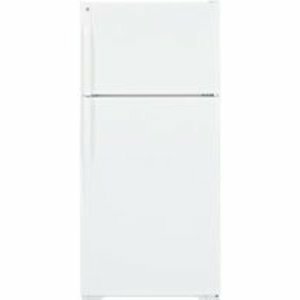 Durability The interior and freezer unit is very durable, withstanding many mishaps and cleaning with bleach based products. Design The interior design is versatile but the exterior is hard to clean .